When you go to Walt Disney World, do you wonder about how it all comes together? Have you heard the terms Backstage and On Stage? Have you ever tried to figure out where Backstage is when you look around the parks? One of the best ways to find the answers to these questions is by taking one of the many TOURS offered at Walt Disney World. Today, on our tour of the ABCs of Walt Disney World, we will look at a few of those tours. Keys To The Kingdom at The Magic Kingdom gives you a look the history of Walt Disney World and how it all began! You will get a bit of a look at Walt Disney, the man, also! You may even get to experience an Urban Legend known as the Utilidors. This tour is for adults only! If you are looking for a more family experience, you might want to consider Disney’s Family Magic Tour, also at The Magic Kingdom. People of all ages are able to take this tour on a quest that offers various clues leading to wondrous discoveries along the way. Headed to EPCOT? You may want to consider the Behind The Seeds tour at The Land Pavilion. This tour is suitable for all ages and gives you a look at some of the innovative growing techniques. You will also get a look at the fish farm, and even how bugs can be useful. Also at EPCOT is DiveQuest at The Seas with Nemo and Friends! You can plunge into the water around a beautiful Caribbean Coral Reef and swim with the sea creatures contained in the 5.7 million gallon saltwater aquarium. You family and friends can come an watch you, once they have entered the park. This package is for Tweens and up! At Disney’s Animal Kingdom, Tweens and up can take a the Wild Africa Trek that allows a closer look at some of the animals that make up the population of this zoological experience. This tour lasts for three hours and includes complimentary pictures of your safari adventure. Finally, if you want the granddaddy of them all, Backstage Magic may be what you are looking for! This is a 7 hour tour takes you behind the scenes at all four parks and includes a stop at the greenhouses and lunch at Whispering Canyon Cafe at Disney’s Wilderness Lodge. 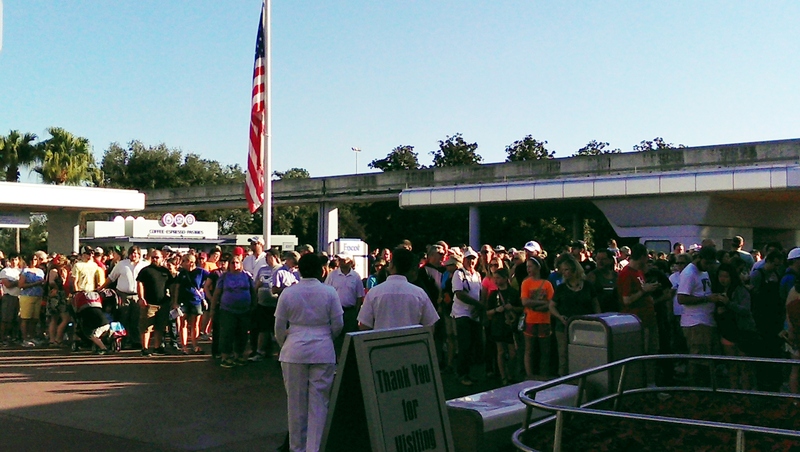 You will begin and end your day at EPCOT, where you will meet your guides. This is an awesome tour, but is for adults only! Most of these tours have restrictions with taking pictures and videos. You will be told at each stop whether you can bring your camera. And, they may also require park admission in addition to the charge for the tour. Check https://disneyworld.disney.go.com/events-tours/#/park-tours/ for more information and the complete list of tour offerings!